Need a reed you can rely on? The Legere alto saxophone synthetic reed features an original cut that produces a dark and more focused sound. The 2 strength is perfect for beginners producing their first notes. Perfect for projecting your rich tone, the Legere alto reed features a thicker tip making it ideal for marching bands and large ensembles. Unlike traditional cane reeds, all Legere synthetic reeds are cut with the utmost precision, so you can buy in confidence knowing it's ready to use straight away. All Legere synthetic reeds will last much longer, meaning you no longer have to buy new boxes constantly. Please note: If you are unsure which strength reed is most suited to you, check out the comparison chart above, which features comparisons between many of the top cane reed brands. Whereas a traditional cane reed would need regularly changing due to damage and natural wear, this synthetic Legere reed will last much longer due to its composite materials used. This means that less money needs to be spent on buying new reeds on a regular basis! 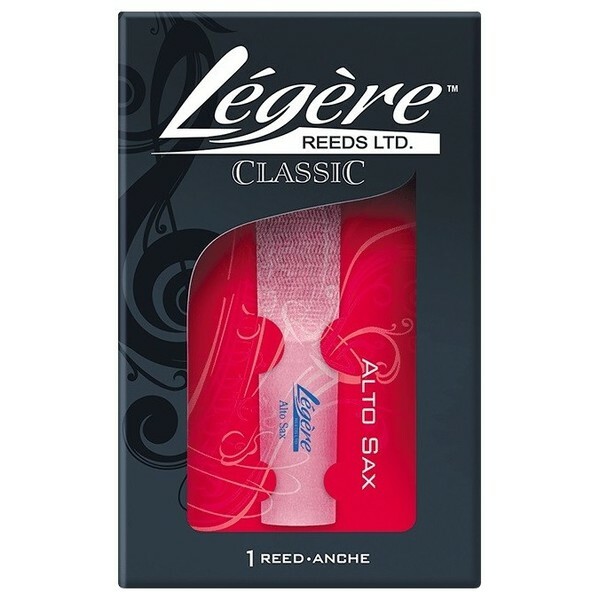 Made from some of the latest materials and using extremely advanced machine crafting, Legere reeds are built so that every reed will be identical to the next. With many cane reeds, there are differences from one reeds strength to another, but with Legere reeds, you can be sure that every reed will be absolutely consistent. As an expression of confidence in their reeds, Légère are happy to offer an exchange service should the reed not be the correct strength. Simply click on this link to visit the Légère Exchange of Strength Policy page and complete the online form and Légère will be able to exchange your reed. For full information, please visit the link. If you suspect there is a manufacturing fault, please contact Légère directly through their Contact Us page.